We can help with your development from start to finish. Coordinate with Solicitor, Council and LINZ to obtain new certificates of title. Applying to Council for a subdivision or land use consent can sometimes be a daunting and somewhat complicated process in a District with such high landscape values. CHA is experienced in simplifying this process for you so that liaison with the relevant authorities is streamlined and the Council costs are minimised. Our planning and surveying consultants are very familiar with the origins and contents of the Queenstown Lakes and the Central Otago District Plans and the Otago Regional Plans. We also have good working relationships with Council planning staff in the Westland, Southland and Mackenzie Districts. We have provided expert witness evidence to QLDC and the Environment Court. Boundary Adjustments Boundary adjustments are the simplest form of subdivision. Often a change to the legal boundaries may be required to reflect historical fenced boundaries. Other times a boundary adjustment may be used when a land owner has agreed to buy some land from their neighbour. Although treated as a subdivision, boundary adjustments are usually very straight forward, and often Development Contributions are not payable. Easement Surveys Easements are rights over land. The extents of these rights are required to be defined by survey before they can be registered on your title. We survey easements for new electricity lines and transformers, rights of way for access, and easements for pipelines. We are the experts when it comes to rural surveying. 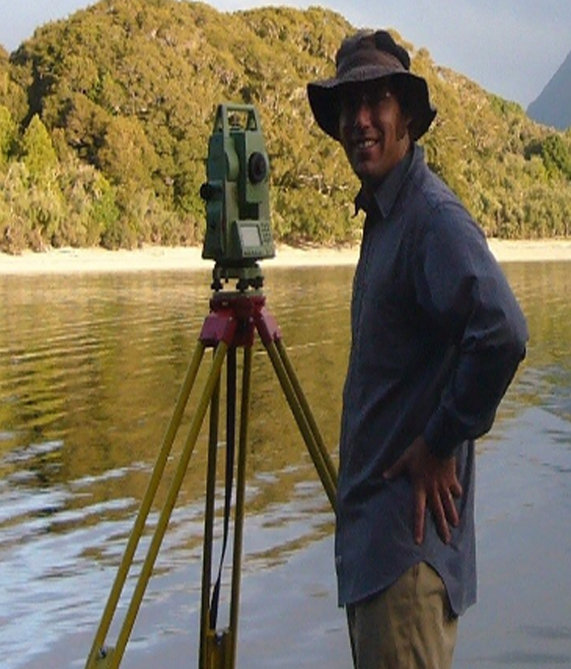 We use high accuracy Leica GPS to accurately and efficiently record boundary measurements. We operate rugged Toyota 4WD vehicles, and are experienced in working with helicopters and ATVs in remote locations. All staff have 4WD and ATV training and certification. Our staff are very fit, and love being in the high country! We have the expertise to develop your subdivision from the initial concept right through to final survey and issue of title. We have innovative ideas for development whether it is urban, rural or rural-residential. Our ideas, skill and experience will save you time and money. While all developments are unique, there is a standard process that is followed. Please call Charlie, Tony or Matt to explain what is involved. Topographical surveys are a critical first step in any land development project. Our high tech equipment and well trained staff can quickly obtain site data at whatever level of detail you or your architect may require. We can also overlay the data on a high resolution aerial photo. We can then supply this data in a digital format that can be imported directly into an architect’s design software. We utilise high accuracy measuring techniques for specialist applications, such as asbuilt surveys for power stations, cell phone tower setout, monitoring of retaining walls and river cross section surveys.